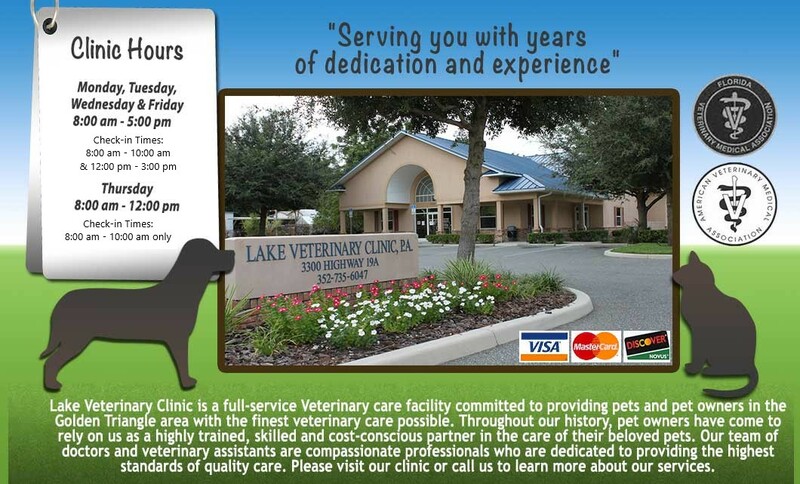 Lake Veterinary Clinic :: Wellness Care & Pet Services for Lake County, FL Dogs and Cats. — Serving you with years of dedication and experience. Sign up to receive automatic notifications from Lake Veterinary Clinic containing clinic news, pet … Click here to sign up!